1) It’s worthwhile remembering that much of this is largely applicable to West Malaysia (i.e. formerly Malaya), but we also have East Malaysia (i.e. 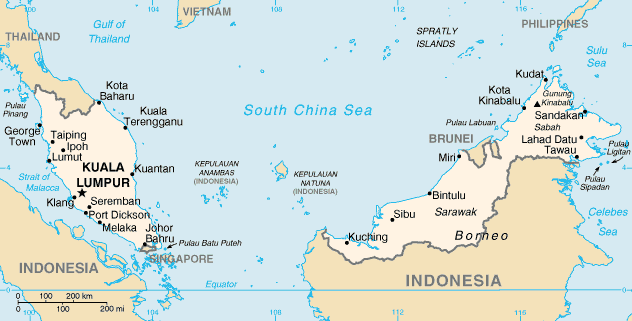 present-day Malaysian Borneo), where the context and issues are slightly different, and where we have the indigenous Borneo tribes who are neither Malay, Chinese, Indian, or Orang Asli (though all the indigenous groups of Malaysia on a whole are often collectively referred to as Orang Asal). That’s a whole other kettle of fish. 2) “indigenous tribes already in situ” – I understand what you intended to mean by this, but technically even indigenous people originally migrated to a place from elsewhere, so it would be more accurate to acknowledge that the concept of indigeneity is more concerned with who was there first. I am being a pedantic scientist here, as the term “in situ” can imply that something was always there and originated from there. Thank you for taking the time to share your thoughts and for reading so closely! 1. These 3 posts are written from a West Malaysian perspective; East Malaysia is a totally different kettle of fish. 2. We all probably came out of Africa at some point! But how many people know this in Malaysia? I chose the phrase ‘in situ’ to counter the dominant narrative in Malaysia today. 3. I knew that there was a ‘Malaysian spring’ with real debate and pluralist political parties post-WWII. I was not aware of this documentary, though, so thanks for pointing it out. I haven’t had time to watch it but from what I read before, I understand that UMNO spearheaded the rebellion against the Malayan Union. Which is why I gave them credit here. I look forward to watching this. Thanks so much for spending Hari Merdeka digging up these links. Very interesting indeed — and they’ve given me new ideas for future posts! From someone who has never been to Malaysia – a very interesting and informative article – stimulating to read and made me research it more. Also interesting and enlightening discussion above, thank you.